Richard A. Prahl, 81, Sidney, Ohio, passed away at his residence on Thursday, March 15, 2018. Rick was born on June 13,1936, in Cicero, NY to James Prahl and Mildred (West) Prahl, both parents preceded him in death. Rick was retired from Chrysler Corp., as a machinist. He was a U.S. Army Veteran, having served during the Korean War. He was a member of American Legion Post 217, and many of the other fraternal lodges in Sidney. He was a proud Veteran, having enlisted at 16 years of age, with his mother signing for him. He is survived by his longtime girlfriend, Barbara Epley, of Sidney, a daughter, Debra Ledford, of New York, and a son: Richard Prahl Jr. of New York. Also, Barb's children, whom he looked at as his own; Kimberly (Martin) Coomber, Barbara (Steve) Fleming, Melody (Dan) Gordon, Larry (Missy) Epley Jr., Suzy(Reb) Neves, and many grandchldren and great-grandchildren. He had many grandchildren and great-grandchldren, and loved them all. 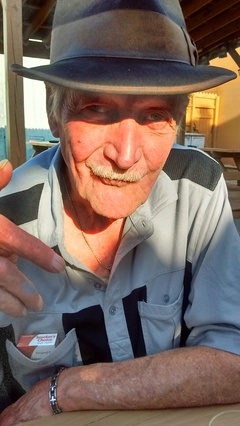 He enjoyed a good time, dancing and visiting the various clubs and reminiscing with old friends. He will be missed by many.